Inheriting a property can be a blessing in some situations, but if you don’t want to live in that property, it might be a curse. When the deceased individual left you a house with a mortgage, they may have also left you a debt to pay. While the law prohibits people named in a will from having to pay off the debts left by the deceased, the mortgage is a little trickier. You’ve inherited something that technically belongs to a lender on paper, rather than something that is an outright possession of the decedent. You have a few important choices to make, and you need to be informed about the process when making them. If any money at all is owed to the lender on the home, you’re inheriting the mortgage the moment you officially inherit the house. This happens when the court issues a new deed with your name on it, making you the official owner. You’re also responsible for any liens on the property, as well as property taxes and estate taxes when they’re relevant. If you aren’t related to the individual you’ve inherited the home from, the lender might require that you actually purchase the home, rather than just assuming the mortgage. This means you’re going to have to pay money immediately unless you intend to forfeit the property outright. If this applies to you, you might not need to go any further into the process. It’s the same as buying a home if you want to keep it, and as easy as saying no when you don’t. If you’re related to the person who left you a home with a mortgage, the lender can’t require a payment upfront. The Garn-St. Germain act will allow you to assume the mortgage without technically purchasing the home. Certain conditions need to be met in order to pick up the payments in your relative’s name. You need to live in the home you’ve inherited when you want to assume the mortgage this way. If you don’t want to live in the home or you can’t stay there long term, you’re going to need to look at other options before the situation becomes a problem. There’s a sense of urgency if certain provisions haven’t been made. In rare cases, a mortgage won’t have to be paid or can easily be paid when the inheritor doesn’t want to make their inherited property their new home. Some people leave provisions in their will about how the rest of their mortgage should be settled after they’ve gone. If there are instructions in the will to liquidate specific assets and use those funds to pay off the lender, you won’t have to inherit the mortgage. It will be paid off under the decedent’s ownership, and you will then own the property outright. If you’ve also inherited a large sum of cash in the will and the will does not contain provisions about how the mortgage should be paid, you can use that lump sum of cash to pay off the mortgage as soon as your name is on the deed of the property. This works the same for relatives and non-relatives, because the lender has been fully financially satisfied either way. When you want neither the home nor the financial responsibility, the issue becomes a little more complicated. You might run into some problems that will need quick solutions, especially if the situation was completely unexpected. It’s hard to prepare for things you don’t know are going to happen. Some costs are attached to the property and not the person who owned them. 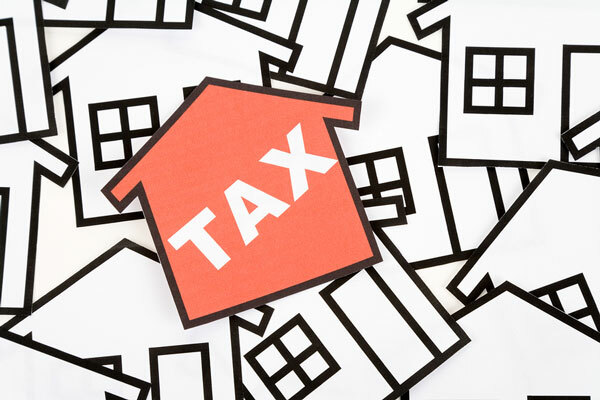 Liens, taxes, and encumbrances will stick with the property, whether or not the original owner is still around to pay them. You’ll be responsible for settling these costs as well as making the monthly mortgage payment. Another issue you may encounter is the state of the property. If the decedent was elderly or ill, they were probably unable to maintain the property. Whether you want to sell if or keep it, you’re still going to need to fix it up in most cases. This requires even more money that you may not have. If you find yourself overwhelmed with the issues surrounding the property you’ve inherited from a relative, you don’t need to panic. There’s a way out of every bad situation, and the sooner you decide what to do, the better the resolution will be. When you’ve inherited a home with a mortgage from a relative, you can sell that home. The money from the sale can be used to satisfy the debt with the lender without having to transfer the mortgage, and as long as your name is on the deed of that property, you’ll be allowed to keep whatever money is left over. The only problem you might encounter with selling is the amount of time and effort it will take to find a buyer. It’s even harder if the property isn’t already highly desirable and in a great area. If you want to sell before payments become due, you’ll need to act quickly. That’s where SoCal Home Buyers can come in handy. We have cash, and we can close on a property in as little as seven days. This means you can pay the lender off quickly, pocket the excess, and you’ll never need to worry about out of pocket expenses. 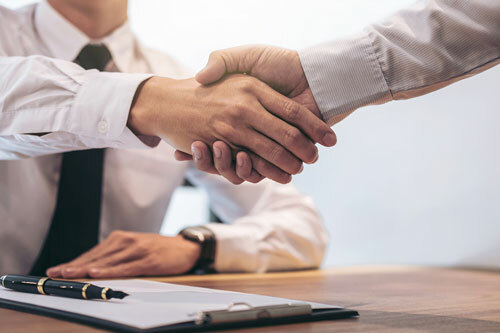 We buy all kinds of properties in any conditions, and we’ll be happy to work with you and the mortgage lender to settle the issue as promptly as possible. If you’re interested to see what we would pay for your property, simply fill out the the short form below & a member of our team will be in contact to discuss the sale of your property. « Previous Post The Difference Between Market Value and Assessed Value in California Next Post » Can You Sell a House with Foundation Issues?